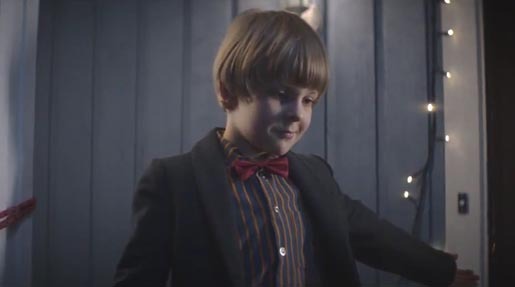 Viasat is promoting the March 1 launch of the Viasat Film channel in Scandinavia (replacing TV1000) with a television advertising campaign featuring a young boy who turns his family home into a cinema, Oskar’s Cinema. “Picture Palace” and “Red Carpet” show the boy preparing pop corn, rearranging furniture, rolling out carpet, before inviting his family back inside. All to a haunting track, “114” by Swedish indie band The Majority Says. The Oskar’s Cinema campaign was developed at Devilfish by executive creative director Ed Edwards, art director Kat Hahn, TV producer Audrey Hawkins, account director Sami Noiri working with Simon Mitchell, Creative Director Pay TV and Sales at ViaSat UK. Filming was shot by director Pete Riski via Rattling Stick, London, with producer Kelly Spacey, director of photography Jean-Noel Mustonen and editor Antti Kulmala. Post production was done at Glassworks, London, by producer Misha Stanford-Harris, colourist Ben Rogers, Flame artists Iain Murray and Tim Huber, and 3D artist Jaroslav Polensky. Audio post production was done at Wave Studios by sound engineer Parv Thind.